In the vineyard, the aim is to optimise the vineyard wherever it is possible to do so. The restructuring that was initiated in 2006 continues with two major objectives: to increase the density of plantation and to extend the surface area of Cabernet Sauvignon. This variety today represents 56% of the vineyard’s grape composition, alongside the 35% of Merlot, the 7% of Cabernet Franc and the 2% of Petit Verdot. It will reach 70% in 2032, at the end of the vineyard restructuring program. 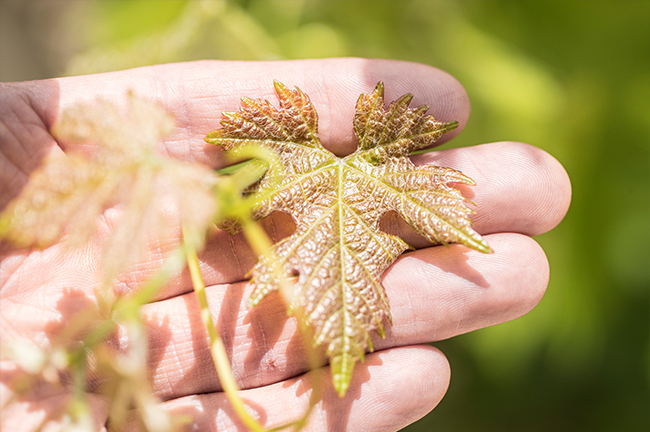 This replanting is complemented by massal and clonal selections that aim to preserve and diversify the genetic heritage of the grape varieties. This exhaustive programme will enhance the individuality and complexity of the estate’s wines.